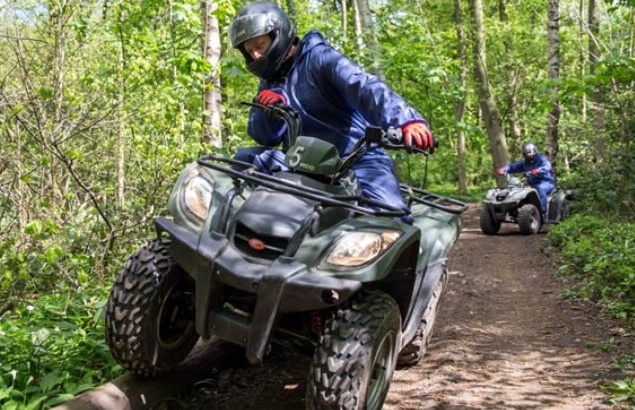 A quad biking UK experience is a muddy marvellous way to try out off road driving in the British countryside, as you blast your way around a special quad track at one of our incredible quad biking centres throughout the UK. Quad biking is about as rough and ready as off road rampaging gets, as you jump on a powerful machine and take on mud, mounds, twists, turns, streams, ditches and fast straights, with the wind in your hair and a smile on your face! We have over 20 UK quad biking locations, so you won't have to travel too far to find a suitable centre. No excuses - get out into the elements and enjoy the thrills and spills of riding these amazing ATVs! 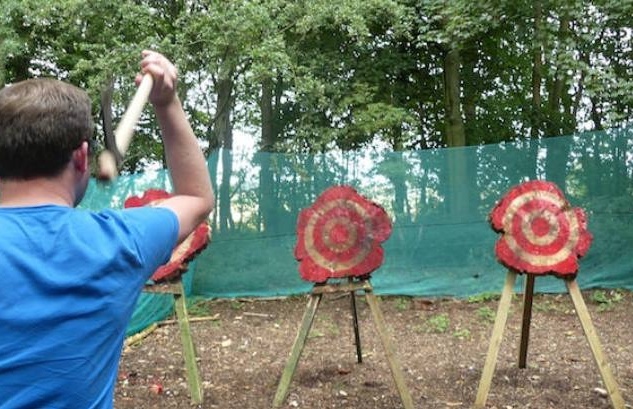 Explore the countryside of Thirsk with this fantastic quad bike ramble. 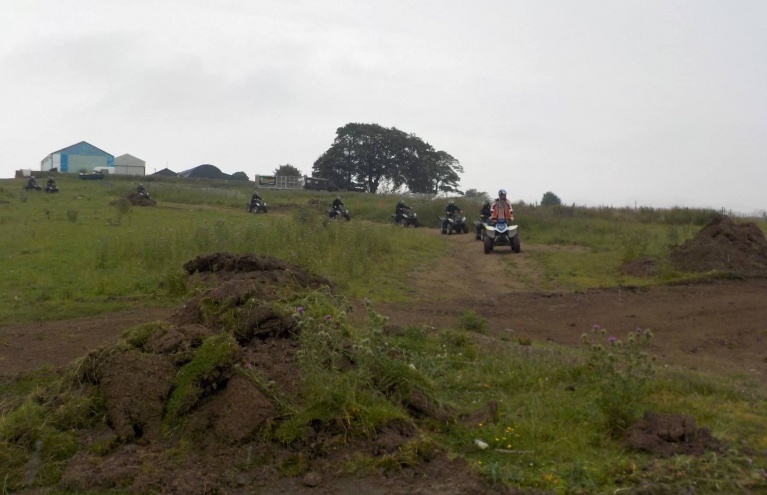 Master the controls of a 150cc Kymco quad bike and tackle this rugged off road course in Durham. Master the controls of a 150cc Kymco quad bike and tackle this rugged off road course in Edinburgh. 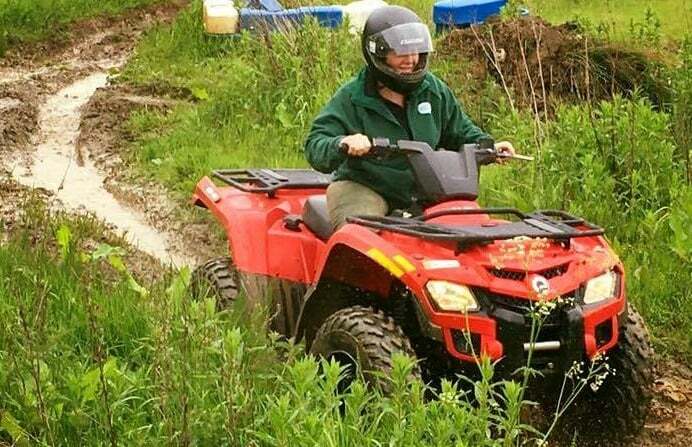 Our quad biking experience days offer you some seriously high octane high jinks, as you try to get to grips with some tricky terrain that is as challenging as it is fun! ATVs are fantastic machines, and offer you a range of driving experiences depending on the terrain, from fast long acceleration on straights to slow, careful manoeuvring on slippery hills, and careful braking and handling around tight twists and turns on woodland tracks. 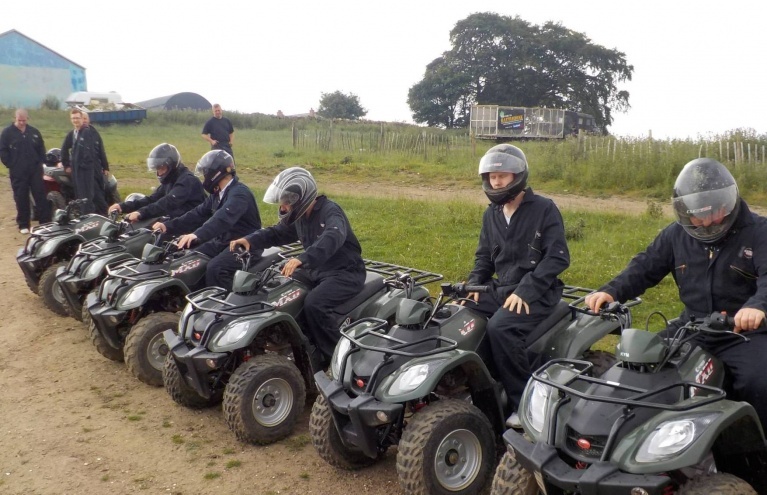 Quad biking is a wonderful group activity, whether you are looking for a stag party activity, a unusual birthday party idea, a corporate team building event, or a fun family day out in the great outdoors. You don't need to have any experience with quad biking to get out there and enjoy a fantastic UK quad biking experience, so even if there are some nervous novices in the group, they will be taught how to control their machines with some training at the beginning of the session. 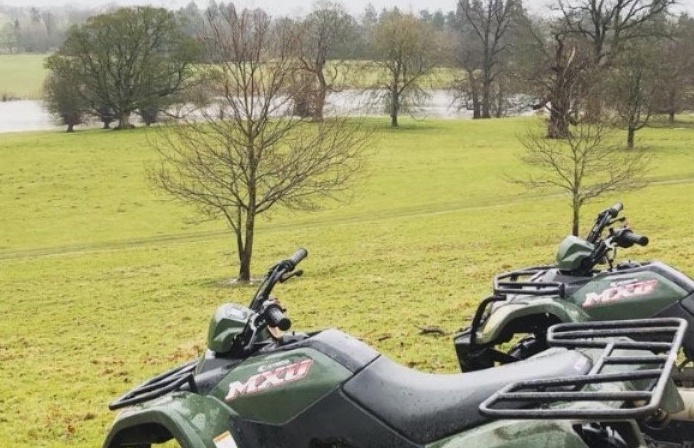 These UK quad biking experiences are no quiet countryside drives - these are rip-roaring, engine growling, adrenaline pumping blasts, around purpose-built off road tracks that are absolutely perfect for ATV action. Forget all about tarmac and traffic lights, white lines and zebra crossings, and all things urban for an hour of insanity on these powerful quads. 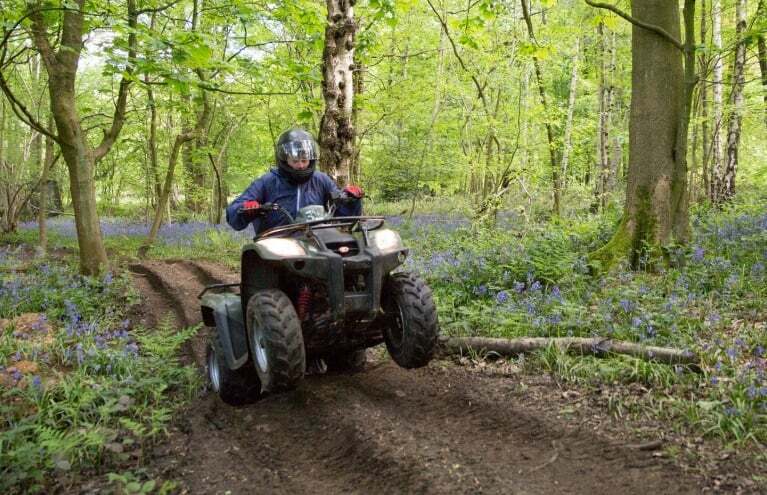 From the South Downs to Aberfeldy, our UK quad biking centres offer the very best in quad biking experiences, using modern, safe and very powerful ATVs, with some slightly less powerful versions available for children's quad biking experiences. Is there a weight limit for your quad biking experiences? Many of the quad biking experiences do advise a maximum weight of around 20 stone. The exact weight limit varies from product to product. Please find the specific details under the Requirements section of each product page. 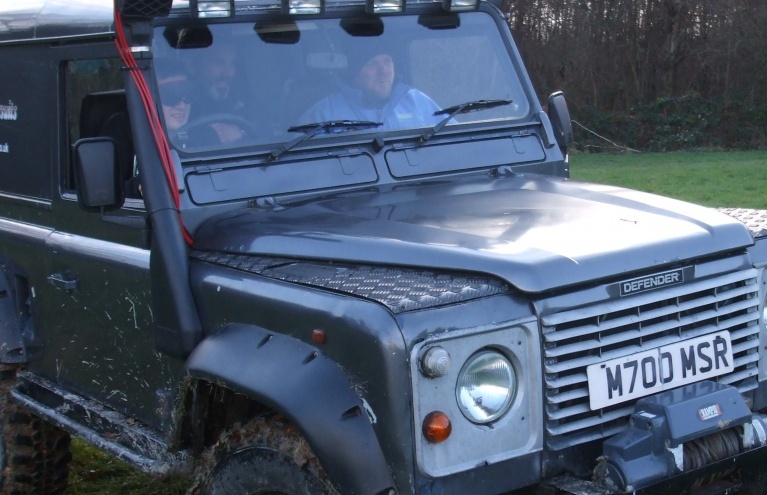 Do I need to have quad bike driving experience to take part? 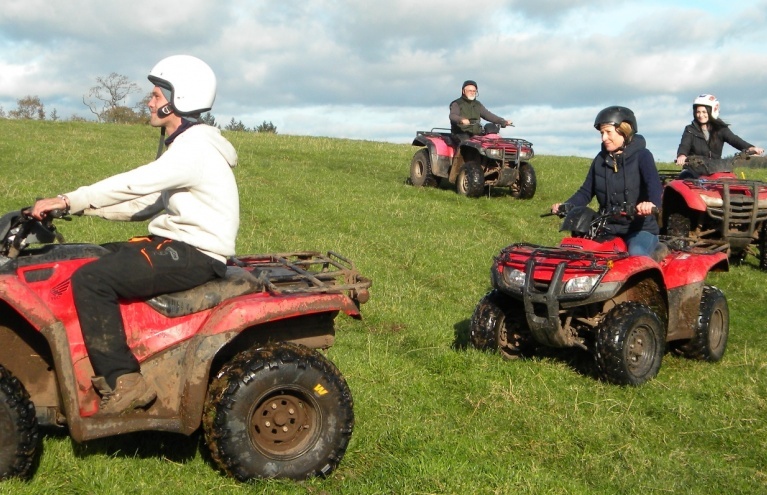 Generally, no previous experience is needed to take part in our quad biking activities. At the start, there will usually be a safety briefing and a quick lesson. However, we sell a lot of quad biking experiences, so this may not be applicable for all. Please check under the Requirements section of the product page to be sure.